Luxair Luxembourg Airlines will take delivery of two additional Boeing 737-700 aircraft with 142 seats each in March and May 2019. As extra capacity is required in the short term, it was decided to opt for two planes currently operated by a large European flag carrier. These aircraft meet all Luxair safety, quality and comfort standards. The LuxairGroup fleet will then have 8 Boeing 737s and 11 Bombardier Q400s. This significant increase in capacity will allow LuxairGroup not only to consolidate, but also to expand its network whilst stimulating growth. To do so, Luxair Luxembourg Airlines and LuxairTours started to implement a series of changes in their flight plan. 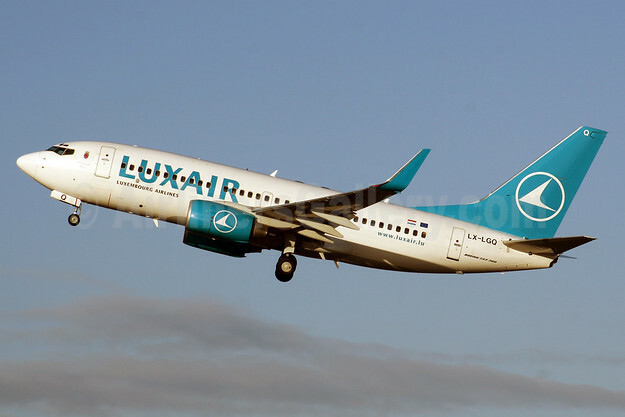 Top Copyright Photo (all others by Luxair): Luxair-Luxembourg Airlines Boeing 737-7C9 WL LX-LGQ (msn 33802) LHR (SPA). Image: 924485. This entry was posted in Luxair and tagged Boeing 737-7C9 WL, Luxair, Luxair-Luxembourg Airlines, LX-LGQ, msn 33802 on August 1, 2018 by Bruce Drum.